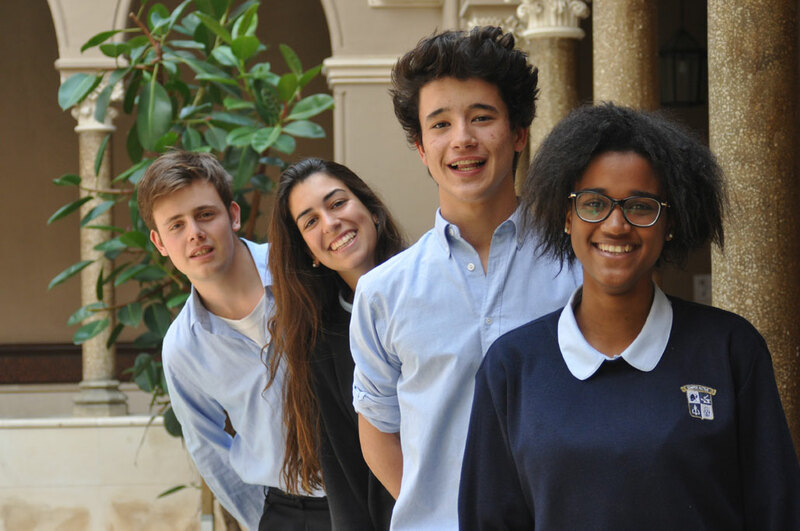 Our main purpose is for all our pupils to achieve individual happiness. As such, our integral formation takes into account every aspect of personal growth to help the harmonious development of all their qualities and capabilities. An integral educational project must take care of the intellect as well as the will, the emotions, the body, the relationships and spirituality of the pupil. We strive to create good students and excellent individuals that are committed to the transformation of society and experience the joy of knowing Jesus Christ. We believe that the families should be completely integrated into the School. This is fundamental as without them, we cannot fully implement our educational project. The close collaboration between families and the School allows us to successfully address the challenges posed by today’s society towards the educational mission of parents. Our pupils – their children – will be the primary beneficiaries of a synthesis of thought, word, advice and example between their parents and the School. Public classes: The parents of our families attend as spectators to see how we apply our pedagogical system. This takes place during the Pre-School years (P3 and P5) and Primary Education (2nd, 4th and 6th Grade). Presentation classes: 2nd and 4th Grade Secondary pupils present what they have learned during the year to their parents. Father’s Day: This is one of the most important days at our school. The fathers of Pre-School pupils take part in different activities prepared by their children. Mother’s Day: This is one of the days that Pre-school pupils most look forward to. Mothers and their children take part in different activities together. Grandparents’ Day: This is the sweetest day at the school as the grandparents take part in a cake-making competition. The most original, sweetest and tastiest cakes are judged. The pupils prepare different activities for the grandparents and end up having the cakes for tea. Family Day: On this day, families can enjoy the school’s facilities and the different activities that make the pupil feel proud of their school. Festivals: At Christmas and at the end of the year, Pre-School and Primary pupils take part in the corresponding festivals. Our school is always open to the Former Pupils. We would like them to visit us, to tell us how they are, share their plans for the future, ask us for advice… Being a RMSI pupil is a stage of life and to be part of the RMSI Family is forever. For this reason we not only like to keep in touch with them through the social networks but also invite them to festive and recreational events at the school. It is our way of saying thank you for the time they spent with us. Teachers’ Day: This day aims to achieve a better relationship between the teachers and pupils and gives the pupils the chance to thank their teachers for their dedication. The pupils can give their teachers a “hand-made gift” made at home by themselves or with their family. Lifelong education: Our teachers receive training related to their educational and formative task. Native and/or bilingual teachers: All teachers that undertake any course in any language are native speakers or bilingual so as to achieve academic excellence. Each grade in Primary Education has a blog where teachers publish information about the projects and activities they are working on. It is a communication tool with both students and parents. It can be accessed trough the following links and with the corresponding password (if you don’t have the password ask your tutor or the coordinator). El próximo 31 de marzo celebraremos el RMSI Family Day, un día para disfrutar en familia de un amplio programa de actividades pensadas para todas las edades y organizadas por papás y mamás del Colegio. Este año será un día doblemente festivo ya que coincide con Sant Jordi lo que marcará el hilo conductor de muchas de las actividades. Al mediodía tendrá lugar la tradicional paella en el claustro preparada por padres del Colegio. Por último, celebraremos una misa en la iglesia en la que podremos escuchar por primera vez al coro RMSI. ¡Os esperamos! Un año más, nuestros colegios organizan anualmente el Torneo de la Amistad. Este año será del 29 de marzo al 2 de abril en Valencia y tendrá lugar en las instalaciones deportivas del Palacio de Deportes de Sevilla (San Pablo) y Centro Deportivo Supralijarafe (Umbrete). Os emplazamos a que inscribáis a vuestros hijos/as para participar en el Torneo deportivo de la Amistad y a invitaros a todos los que queráis ir a animarles. Lugar: Valencia. Inauguración y eventos deportivos: 29, 30, 31 de marzo y 1 de abril en la Ciutat de l’Esport de Torrent. 2 de abril regreso a Barcelona. Plazos de inscripción: Envío online de la inscripción hasta el 24 de febrero de 2017. Forma de pago y Cuota de inscripción: El pago se realizará mediante recibo bancario a mediados del mes de marzo. Pensión completa (dormir, desayunos, comidas, meriendas y cenas para todos los días). No incluye la comida de los viajes (el miércoles 29 de ida y el domingo 2 de vuelta). Servicio de autocar hasta Valencia y traslados los días de competición. Inscripción y participación en todos los eventos deportivos del TAV 2017. -Benjamín y Alevín: 60 metros. -Benjamín y Alevín: 400 metros. -Infantil, Cadete y Juvenil: 1.000 metros. o Relevos Atletismo: Todas las categorías: 4×100 metros. o Velocidad Natación (estilo libre). -Benjamín y Alevín: 25 metros. o Relevos Natación (estilo libre): Todas las categorías: 4×25 metros. o Fútbol sala. Masculino. Campos de césped artificial. Zapatillas multitaco. * camiseta y pantalón nike azul y sudadera gris oficial para las extraescolares deportivas del colegio. Y polo blanco del colegio para las clases de educación física. * El que no disponga de la equipación nike porque no está apuntado a ninguna extraescolar, la puede comprar en la tienda suministradora del uniforme del colegio, MINIME (c/Duquesa d’Orleans 60) o a través de su página web online. O pedirla prestada a algún alumno que no vaya a ir al torneo. La sudadera gris (es nueva desde este curso) y únicamente la encontraréis en MINIME. Estará disponible a partir del LUNES 23 de FEBRERO y servirá, en adelante, para todas las actividades extraescolares o cualquier actividad deportiva organizada por el colegio en los próximos cursos.